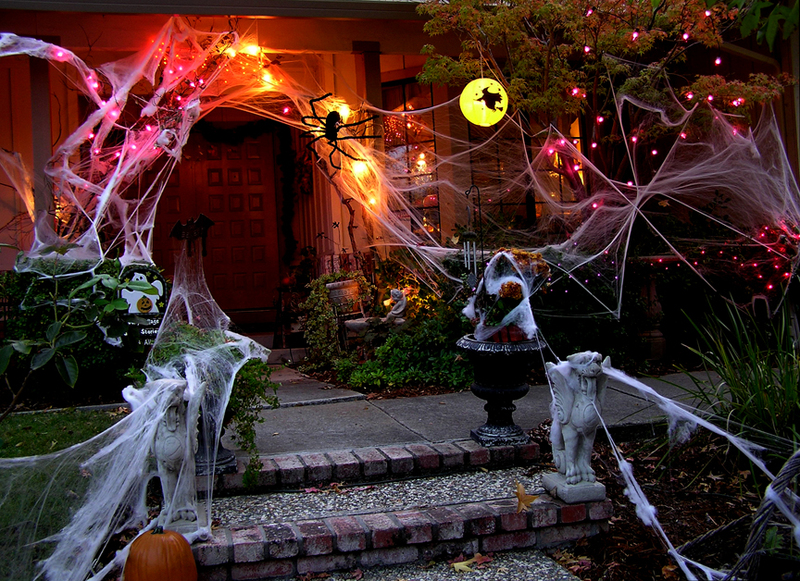 When decorating your home for Halloween, be sure to keep your fuzzy friends in mind. Try to keep anything potentially dangerous to your pets far out of reach. Ribbons and streamers are usually a temptation for our feline friends, and can be very harmful if ingested. Always make sure that Jack-o-lanterns and candles are placed far out of reach for both dogs and cats. Wagging tails and curious cats are a big danger around candles! 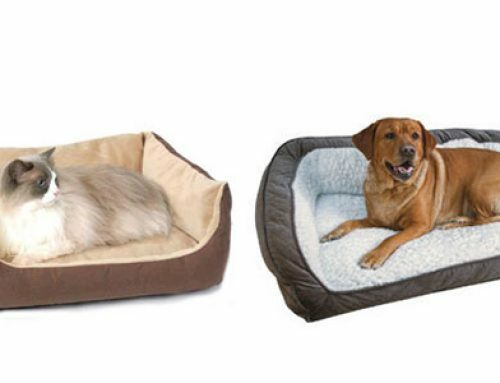 Also consider electrical cords associated with indoor and outdoor decor may also cause serious mouth burns and electrocution when pets chew on them. Always err on the side of caution and try to choose pet friendly decorations. Pets, (especially cats) love to chew on these. 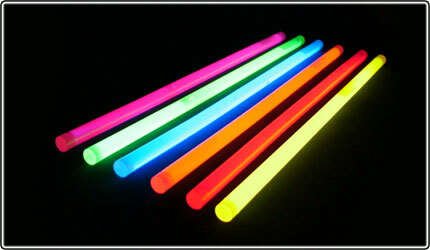 Over the past year, Pet Poison Helpline received nearly 80 calls concerning pets that punctured glow sticks or glow jewellery, and 70 percent of the calls involved cats. While not usually life-threatening, their contents can cause pain and irritation in the mouth, as well as profuse drooling and foaming at the mouth. Be sure not to leave these lying around after all the fun is over! 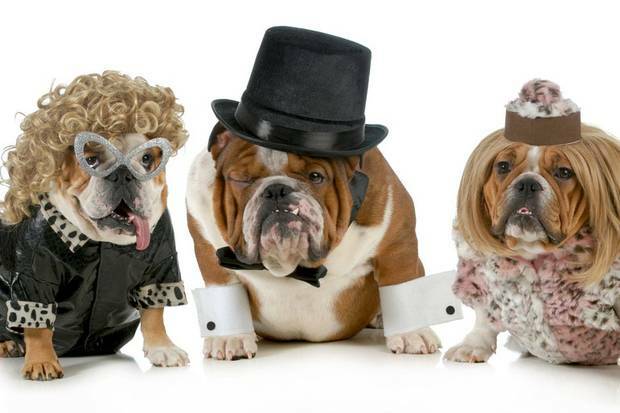 Dressing up our furry friends can be lots of fun for us, but always make sure your pet is up for the experience! 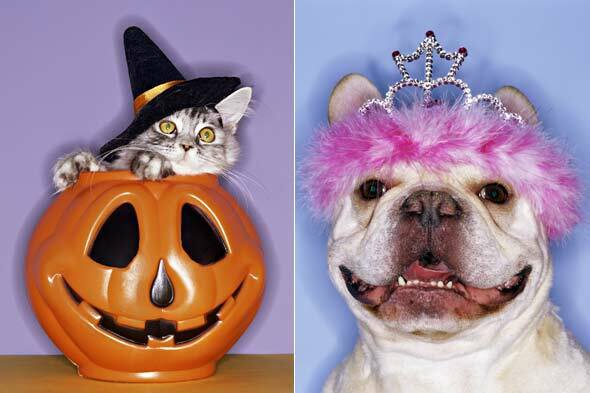 Some pets enjoy dressing up and getting all the extra attention, but some may find it frightening or stressful. If you do decide to dress up Fluffy, be sure that the costume is safe. Check that it is comfortable and doesn’t obstruct vision, hearing, or restrict movement. Avoid tying anything around your pet’s neck to prevent choking or strangling. Keep away from tight elastics on costumes. 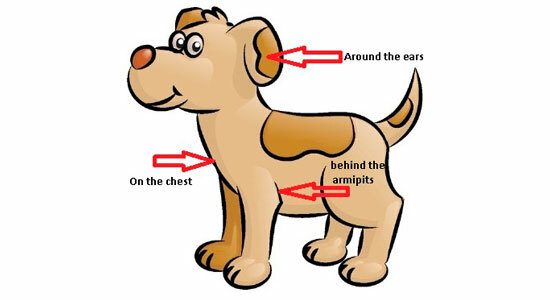 They can get lost in the pet’s hair, potentially causing us to overlook them, leading to swelling and pain in the area of the elastic. Also, look for any small parts (beads, snaps, etc.) that could potentially be chewed off or ingested. It is always a good idea to try the costume out before the big night, and if Fido isn’t a fan, you can always try a festive bandana instead ☺ Cats tend to be more resistant to costumes, and we need to respect their boundaries. 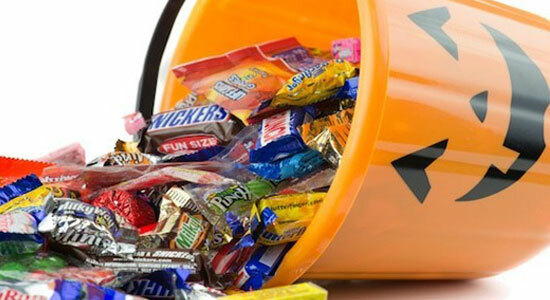 Consider reflective collars and gear for pets (and people) if they accompany the little ones trick-or-treating! 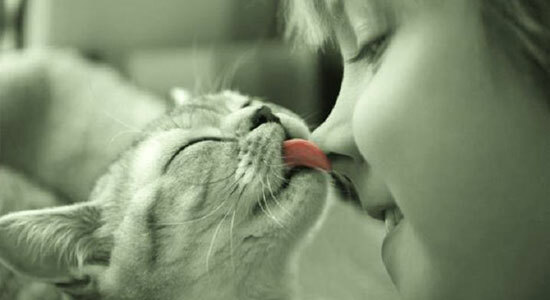 And before thinking about dying or colouring your pet’s fur, check with your veterinarian first. 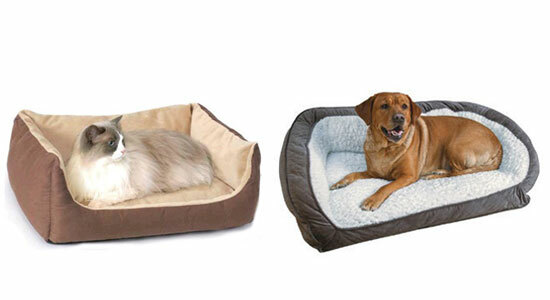 Some products can be very harmful to pets, even if it’s labelled non-toxic to humans. It is always best to keep all your pets indoors during this busy night. 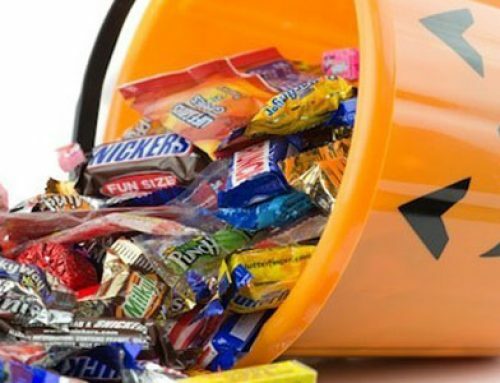 Sadly, animals are at risk for cruel treatment by some Halloween pranksters. It is safest to keep cats, especially black cats indoors for several days around Halloween. Don’t leave you pets unattended in your front yard or by the door, where they could slip out during the festivities! And if Fluffy tags along for the trick-or-treating, be sure to keep him on a leash. Sudden noises and strange-looking costumes can also spook your pet, causing them to be frightened or run away when they normally wouldn’t. This is also a great time to ensure your pet is properly identified. It is very easy for animals to slip out during all the excitement. A collar and tags and/or a microchip can be a lifesaver, increasing the chances that he or she will be returned to you. Halloween is great fun for kids and adults, but our four-legged friends don’t always share in our excitement for the Holiday. Continuous knocking and doorbell ringing, and strangers in costumes coming to the door all night, can make for a very stressful situation for your pet. 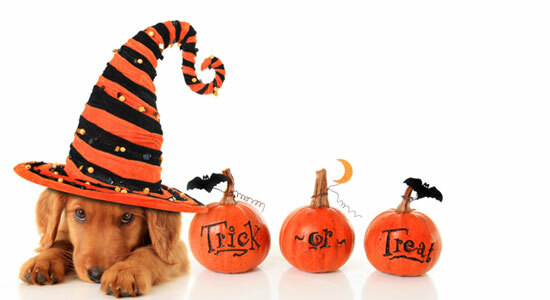 Walk your dog before trick-or-treaters start their visits. Always keep them on a leash, and with a firm grip. Remember, kids in costume can be pretty scary to the pets. If you would like to have Fluffy around to greet the trick-or-treaters, keep him on a leash. It can be very stressful to have strangers coming to the door all night, and this way you have better control over him. 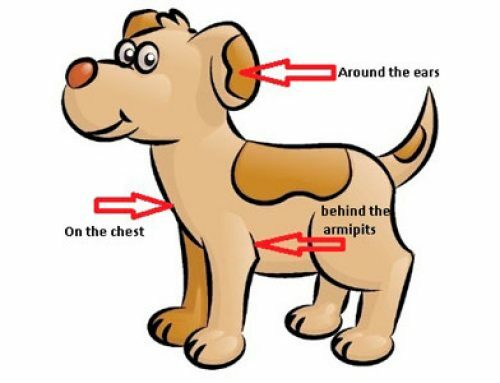 A nervous dog might feel threatened and growl, lunge or bite. 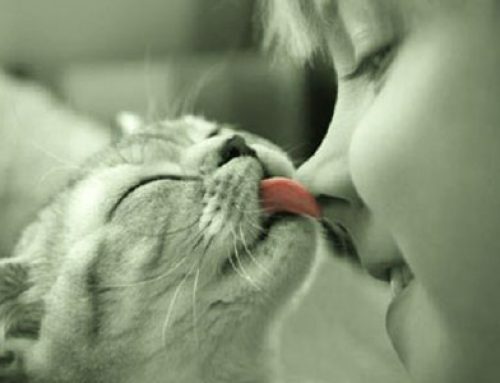 If you pet seems stressed at all, it is best to keep them in another (quieter) part of your home. Putting your dog or cat in a secure room away from the front door will also prevent them from darting outside between trick-or-treaters! Give him a Kong or other hollow chew toy stuffed with peanut butter or other soft dog treats or a favourite chew toy. It is best to ignore other people’s dogs on Halloween if you meet them out walking. The dog may be worried about all the strange creatures that are out and about. Even if you know the dog, he may not recognize you in your costume!